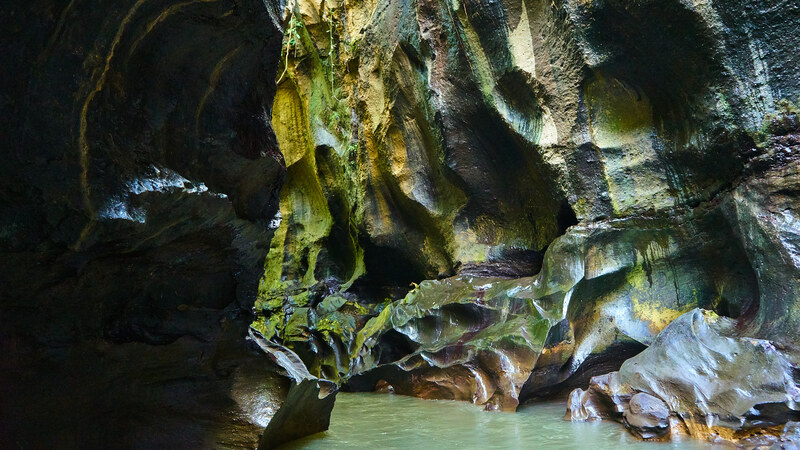 Beji Guwang is a slot canyon located in the village of Guwang just northeast of Denpasar. Away from the hustle and bustle of Bali’s capital it’s an attraction that should not be missed. A local guide is required to enter and will show you where it’s safe to ford the river, when to scrabble or jump, and what rocks are safe to hold as you boulder across the canyon.